Event Time: 7pm - 2am Map and food & drink offerings info is given out at registration. 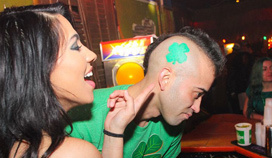 Don't miss this opportunity to catch Green Mile Midtown Party • St. Patrick's Day at this exclusive Atlanta performance! Tickets for this event will sell out! Get yours now! Initial release tickets are available starting at just $15! Click on a picture and use the left and right arrow keys to browse the complete set of photos from Midtown Atlanta. 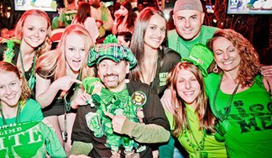 Green Mile Midtown Party • St. Patrick's Day Live in Atlanta!